How to Create an Autoresponder That Customers Print Out & Show to Their Boss ~ HELLO, my name is Blog! And that's the scary part. Some people send emails (just like this) over two hundred times a day. REMEMBER: Be sure your subject line best mirrors your goals, passions, boundaries and values. Whose self-interest does your subject line really reflect? REMEMBER: People respond to policies. Lying causes stress. And honesty wins business. For my in-depth, helpful guide to branding your honesty, check this out. 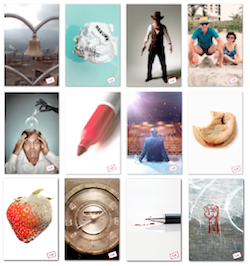 How radically honest is your autoresponder? 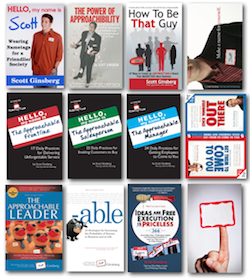 "Also, while you’re poking around www.hellomyanmeisscott.com, my humble request is that you: Buy all eight of my books, hire me to speak at your organization’s next meeting, order customized video learning modules from NametagTV.com and rent my brain for a one-on-one business coaching session. Not necessarily in that order, of course." Who's printing out YOUR autoresponder and showing it to their boss? For the list called, "30 Ways to become the Most Interesting Person You Know," send an email to me, and I'll send you the list for free!